Personal training at Eqvvs is one-to-one. It’s bespoke to your needs and requirements so you achieve better results, faster! 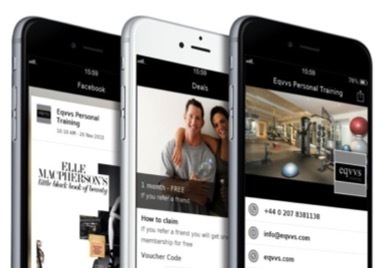 You will never find more than three training sessions in progress at any one time – so Eqvvs clients’ get all the space, attention and privacy they need. No monthly fees or contracts – simply buy the number of sessions you want online, via our app, at the studio or over the phone. Tailored personal training for people who want to enjoy getting fit, delivered by specialists who love what they do. The most powerful blend of exercise, diet & nutrition & body data to transform your body shape in just 3 weeks. Follow it strictly and we guarantee you’ll lose weight. Eqvvs Training has some very special friends. Together, we’ve developed eqvvsONE, a unique and complete bridal package. Give us 6 weeks before your wedding and we’ll create something incredible. You.